A memo from Adam Strum. In economic hard times, it is especially sweet to drink well for less money. This is true no matter how elevated your taste or thick your wallet. Instant communication. It seemed to happen…well, instantly. Remember mail? Envelopes, stamps, all that? It became “snail mail” when email came into common use. We no longer have to walk or run to pick up the phone; we reach into pocket or purse. Overnight, or so it seems, we started blogging, Facebooking, Twittering and creating Web sites that could be updated in seconds and potentially reach millions of people a few second later. And though magazines, books, newspapers and other forms of print are easy, tactile and companionable, instant they are not. There is still weeks of lag between the time I write this and it’s sent to the printer, where it’s printed, bound and shipped to the various retail outlets across the country or mailed to you in your home. As I write this, the nation is facing the mortgage loan fiscal crisis at its height. But as you read it, I hope the crisis has passed, homeowners are in financial health, there is world peace, bluebirds are singing and flowers are blooming with chocolate. Chances are, none of that happened. 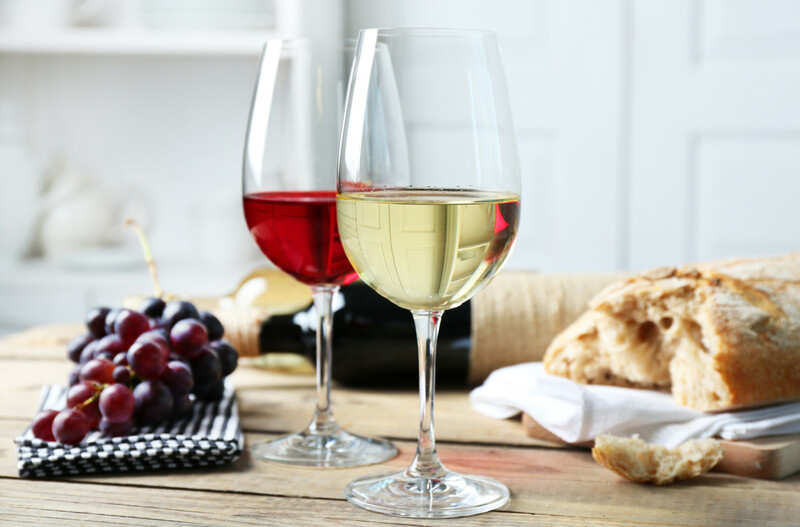 But one thing is for certain: a glass of wine is a blessed relief at the end of a stressful day, especially if that wine cost you a fraction of what you expected to pay. The timing could not be better for our annual Best Buy issue. Best Buy wines are those that offer high quality for a modest price. There is, in fact, a precise formula for determining these—if a wine receives a score of 83 or above and its retail price is listed at $6 or below, it is a Best Buy; 84 points or above, $8 and below: Best Buy; and so forth, all the way up to 90 points or above and $15 or below. It’s a mix of art (the reviewing) and science (the formula) that results in great bargains and discoveries for you. On page 28, you’ll find our editors’ selections of the top Best Buy wines available today. To make it easier for you to shop and to match your own preferences to our recommendations, the article is structured according to wine style. Do you like big, bold reds like Cabernet Sauvigon and Syrah? You’ll find them listed together, the California offerings alongside wines from France. Prefer lighter-styled reds like Pinot Noir? They are all grouped together. We hope the format makes it easy for you to find the wines you like as well as draw your attention to bottles you might not have formerly considered. Discoveries are what we’re all about. That applies to spirits as well. Paul Pacult is one of the world’s foremost authorities on the subject and when Best Buy season rolls around, he relishes the opportunity to point out great bargains in gin, vodka, whiskey, Tequila, rum, liqueurs and more. It can be a confusing category; how many of us can tell one vodka from another? But Paul can and he never hesitates to offer a candid opinion while pointing out the hidden gems in each category that will help you build a holiday liquor cabinet and save cash to spend on wine and other necessities. Also in this issue: Senior Editor Susan Kostrzewa draws on her depth of experience traveling in South Africa, tasting the wines and meeting the winemakers to write her story, “Uncovering the Cape” (page 40). It’s primarily a travel story: if you plan to visit the country (no modest voyage) you’ll have a great guide to wineries that offer great views, distinctive character, fabulous food or access to the fabled wildlife experiences the country is famous for. On page 46, you’ll find Michael Schachner’s report on La Mancha, which is the world’s (not just Spain’s) largest contiguous wine region—and also, up until recently, one of its most overlooked. But small wineries have shouldered their way onto the scene, igniting improvements in vineyard and winery methods. La Mancha is now a legitimate player in Spain’s vibrant wine industry. Every home cook on earth has a recipe for that staple of holiday tables, pumpkin pie. It would be pointless to offer an alternative version, since each of those recipes is already the best. Instead, in our Pairings story on page 50, Gretchen Roberts offers other, mostly savory, uses for this subtly flavored squash, in soups, in a pasta dish and more. Prop up the magazine on your kitchen counter and follow the recipes, or just curl up on your couch with a pen and circle the Best Buy wine selections that intrigue you. Instant communications via computer are great, but print—considered a miracle in the 15th century—still has substantial value.